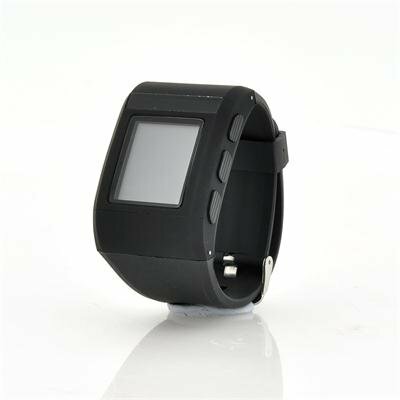 Successfully Added 1.26 Inch E-Paper Display Smartwatch 'Zebble' - IP67 Waterproof, Dustproof, 10 Days Standby Time, Fitness Features to your Shopping Cart. The Zebble watch revolutionizes the smart watch and applies the latest technology to make your life better and much more convenient. Check out all the amazing functions below. Notifications: Zebble syncs directly with your phone and gives you immediate access to what matters to you. Your phone rings and you want to know who's calling or texting you on Wassap, but your hands are full? No worries, it's right on your wrist! Music control: When you are running, it's distracting when you have to hold your phone in your hands for controlling the songs that motivate you. 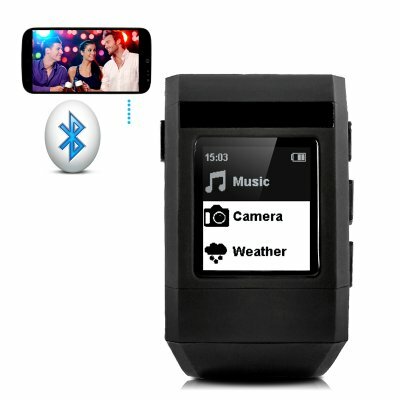 Now, Zebble allows you to do that on your wrist. Camera control: Shoot pics in style! Control your smartphone camera with the Zebble. What's the use? Well, what about you want to take a group picture without holding your phone? Weather info: When you are outside, especially travelling or jogging, you always want to stay updated with the weather information. Simply open the weather function and select your city and you are ready to go! Find your smart phone: You can't find your phone? With Zebble's 'find phone' feature you can make it ring and spot your phone in a matter of seconds. Sports/Fitness function: You are a health geek and you want to know the amount of steps, calorie consumption, mileage and time when running? Then the Zebble is a dream that has come true. The Zebble features an 1.26 Inch E-Paper Display (Sharp Memory LCD) that is visible in any light condition, even under strong light. The E-Paper display also allows the smart watch enjoy ultra low power consumption allowing it to stay on stand-by for up to 10 days! The Zebble has a IP67 Waterproof and Dustproof rating. The first digit '6' means that it's completely dustproof. The second digit '7' means that protects against water immersion up to 1 meters for 30 minutes, making it resistance to water during daily use.